So I’ve closed the giveaway, and thanks to all who entered and offered interesting recommendations! Yes, despite it being April Fool’s Day today, this is a real giveaway! I’ve been trying to clear the decks a little here, as there have been incoming books despite my best efforts; and I need to be honest with myself about whether I’ll ever read a book again and whether I therefore need to keep it! Older and more battered volumes are being donated or Bookcrossed, but I have three nice books here that were brand new and I’ve only read the once. I’m pretty sure I’m unlikely to return to them, despite having enjoyed them, so if you’d like one of these please leave a comment saying which one, and I’ll draw names out of a hat (or bag or something) – in fact, as Youngest Child is back for Easter, I’ll get her to do it! A sweet little volume about love and libraries! Oscar is wonderful and so are the stories in this little book; but as I already have his collected stories, I’d like to pass this on to a good home! Credited with starting the craze for Gothic fiction, this one is a hoot! If it wasn’t so cold outside, I would find it hard to believe that it’s December already – but the weather has been freezing lately, and the darker nights leave me in no doubt! Reading wise, November was a month of mainly German Literature, and I’m still actually reading Germans! But I’m making no real plans about what books I’ll pick up as we get to the end of the year, and I’m happy to go where the mood takes me. What I *am* going to do, though, is have a little Winter Giveaway. I haven’t done one on the Ramblings for a while, and I have three spare wintry books to offer. These are available worldwide so please do enter! “On Roads” Giveaway – The Winner(s)! On Roads – A Giveaway! 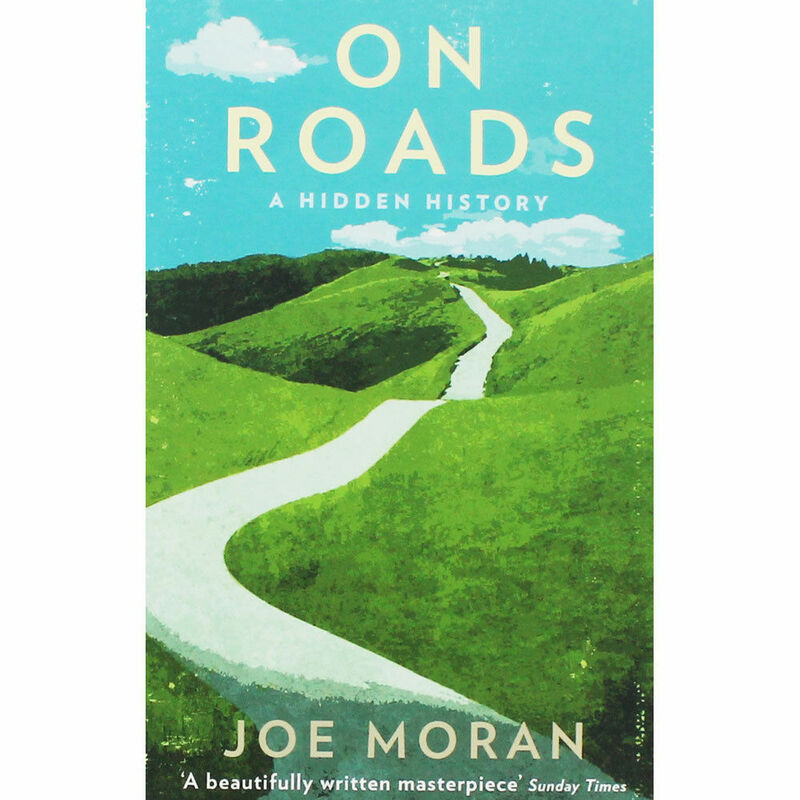 The more I think about Joe Moran’s “On Roads” (reviewed here) the more I love it and want to share it with others! So I thought I would do a little giveaway! I have one brand new copy of the book to give to an interested reader. Names will be pulled out of a hat randomly and if you’re interested leave a comment to enter – all I ask is that you recommend me a really good non-fiction read you think I might like! Greene for Gran – a Giveaway! 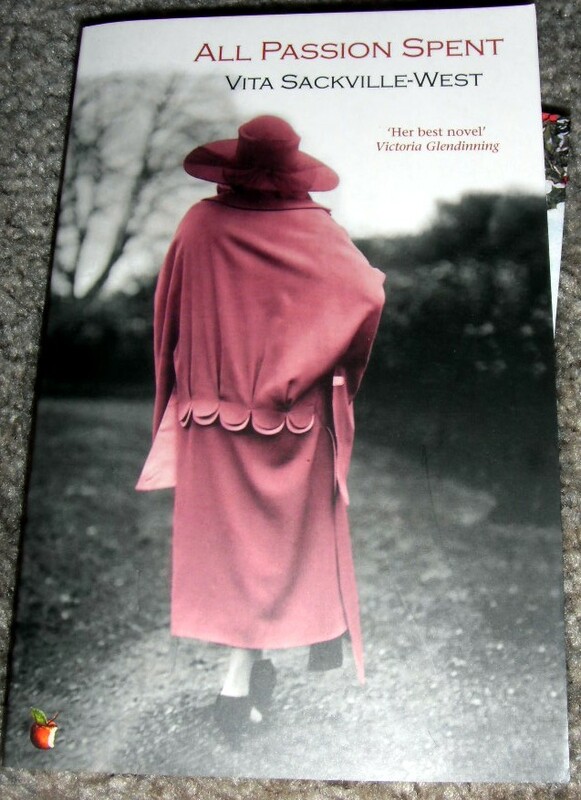 The copy I have spare is this Penguin edition and it comes pre-loved from my local Oxfam charity bookshop – but is in excellent condition (looks unread tbh) and is up for grabs here! Just leave a comment below with a book recommendation for me, and I will draw winner at random in about a week! Literary Blog Hop 27th – 30th October: Giveaway Time! I’m very pleased to be taking part in the Literary Giveaway Blog Hop organised by Leeswammes! I’ve seen a few of these but this is the first one I’ve had a chance to take part in, and I do like an excuse to give away books. First up is “All Passion Spent” by Vita Sackville-West. Reckoned by many to be her best work, this is a nice Virago edition. It is pre-owned but is in really great condition and you’d hardly know apart from a bit of tanning on the page block! 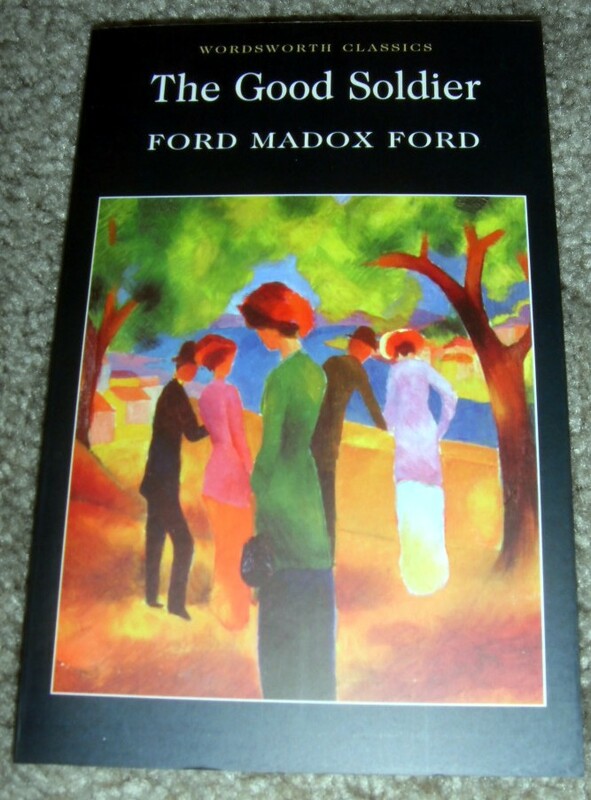 Next up is a brand new Wordsworth Classics edition of Ford Madox Ford’s “The Good Soldier”. FMF has been much in the news lately after the BBC adaptation of “Parade’s End”. “The Good Soldier” is shorter and a little more manageable! (My copy is gradually edging towards the top of my tbr). I rather like the look of the new, black covered Wordsworth Classics, don’t you? 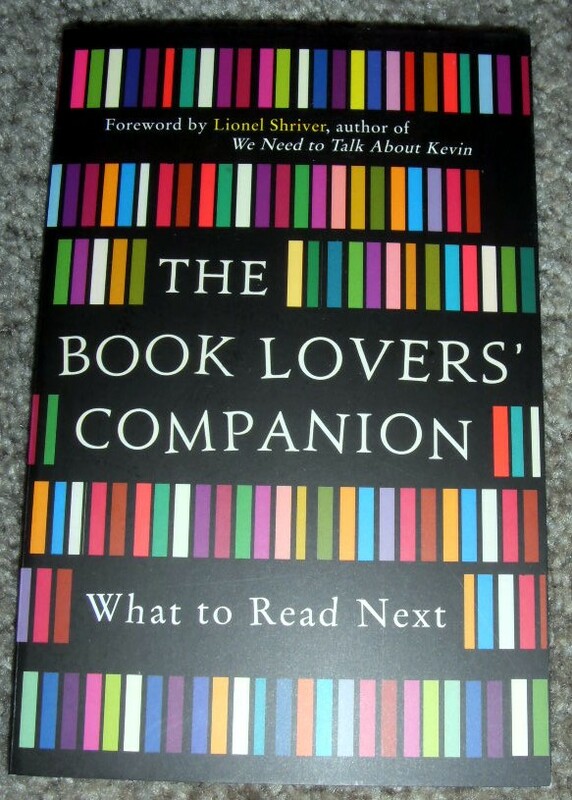 Finally, some non-fiction – an intriguing little book (brand new copy again) called “The Book Lovers’ Companion”. This contains good ideas of What To Read Next – with little summaries and suggestions of books ranging from “Mary Barton” to “Cloud Atlas”. Ideal for any book lover I should think! So how can your get your hands on one of these? Well, I’ve realised recently that my major book loves are all from the 20th century (mainly before 1980). So if you’d like to win one of these three lovelies, please leave a comment below with a suggestion of a 20th century volume that I might like and might not have heard of! Winners will be picked at random and if you would prefer one particular book, please say so! I’m happy to send to overseas places, but this will be by surface mail due to horrid UK postal costs. Looking forward to hearing your suggestions!